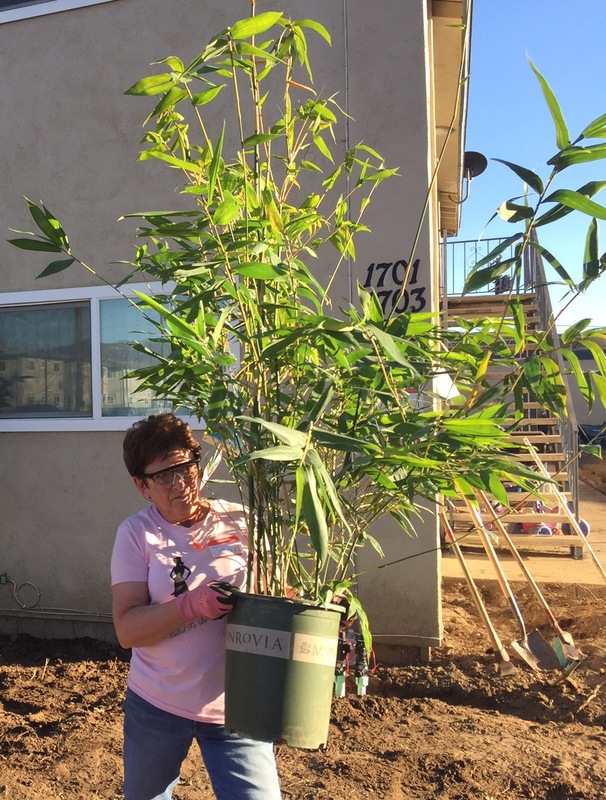 At a frenzied, yet fruitful, pace Saturday, and Sunday, Sustainable Heroes volunteers from across the nation transformed a parched piece of transitional housing dirt into Aster Street Gardens, a landscaping delight. 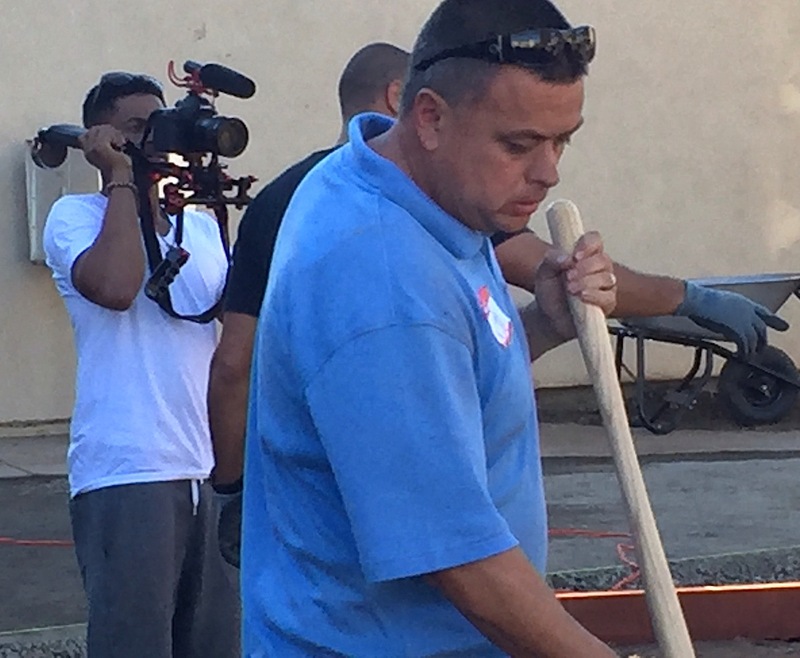 Beginning shortly after sunrise, celebrity TV host Ahmed Hassan of DIY Network/HGTV “Yard Crashers” fame, along with outdoor living designer Duane Draughon of Columbus, Ohio and about 30 volunteers got down to work, and when they say work, they mean it. That was Saturday. Actually, the hardy crew of volunteers came to town Thursday to do preliminary deconstruction work at 495 Aster St. that features a one-year transitional housing program for those who have fallen on difficult times, and often have been homeless. 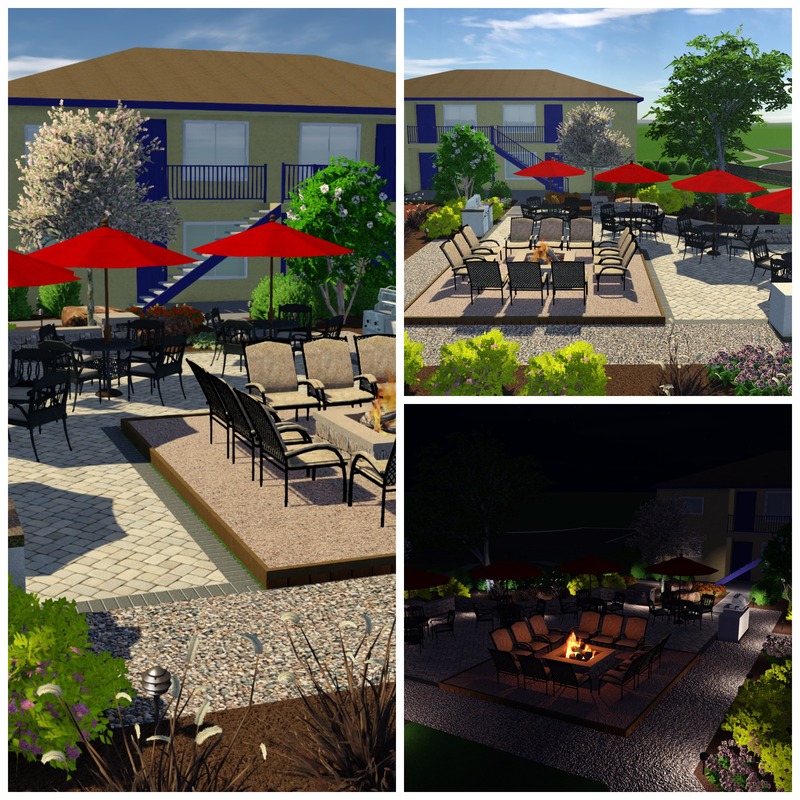 Duane Draughon of Columbus, Ohio designed the new landscape and outdoor community meeting area. Volunteers came to the scene through several avenues. Many flew and drove in from Midwest as volunteers on this, the third charity landscaping project by the Chicago-based Sustainable Heroes. 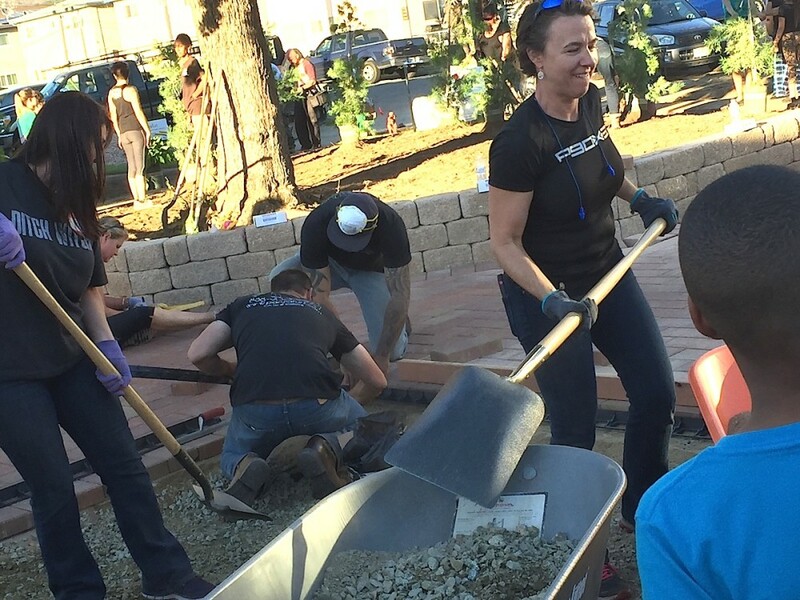 Others came through San Diego-area volunteer groups and foundations. Still others came just because they were called with several private individuals and local businesses providing material, logistics and just plain sweat equity. Creating an outdoor living space in conjunction with Interfaith Community Services was a special project in many ways, Hassan said, including the fact that it was a childhood friend who brought the need to his attention. That appeared to be Joe Snyder, lead resident manager at Interfaith Community Services. At Ground Zero, literally, Saturday, a beehive of activity took over the usually sleepy Aster Street scene. John Murray, an Orlando, Florida contractor and his wife came to town despite having only $100 remaining in their bank account. Murray said he spent $1,200 of his own money for the trip, but it’s well worth it in terms of the joy of creating something out of nothing for wonderful, yet needy, recipients. 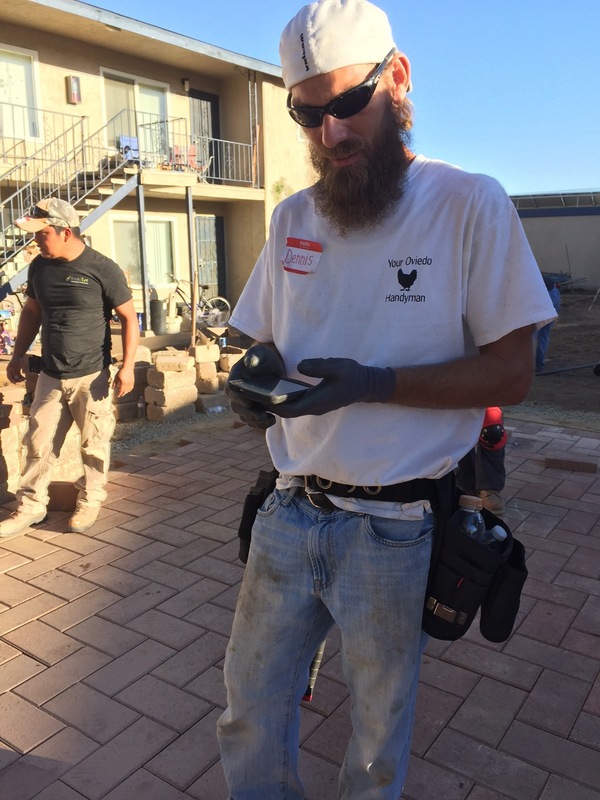 John Murray, an Orlando contractor, spent $1,200 to come to Escondido to help. Appropriately for 2015, Sustainable Heroes relies on social media and new age technology to get out the word. They plastered Facebook and Twitter with uplifting videos, photos, comments and links. “We blast out the call all over social media,” Murray said. “We’ve got a great group of people who contribute and we rely on for donations from everyone. Meanwhile, architectural landscaping blueprints in hand, Draughon, of VizX Design Studios, stepped up, as well as over and around, the quickly evolving dirt-into-outdoor landscape taking shape at a practically breakneck pace. Snyder, who made the call that got the band together, got a little misty-eyed as he eyed the transformational community project powering up with catchy music blaring through thin air. Joe Snyder, an Interfaith community Services housing manager, set the wheels in motion. 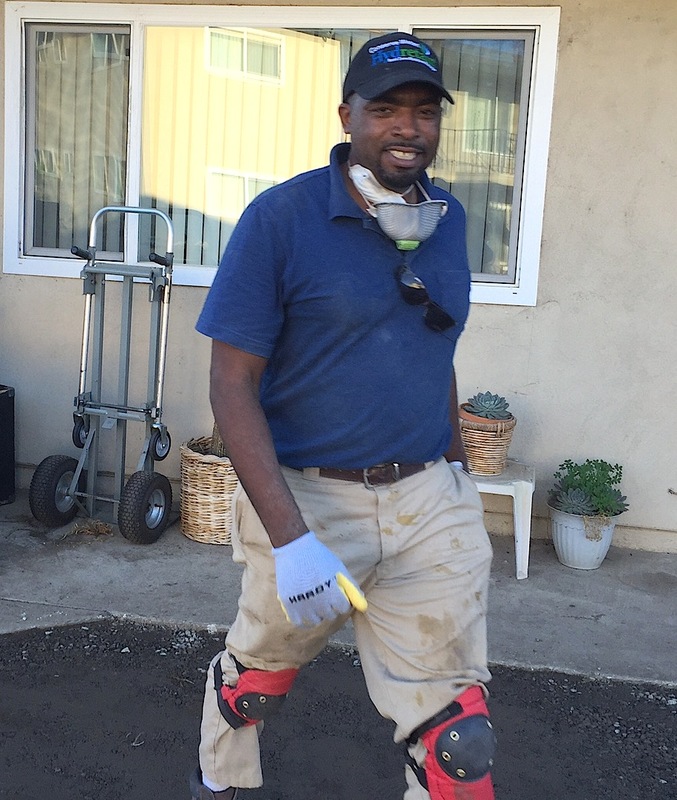 A lot of people are familiar with Hassan through his Yard Crashers landscaping makeover show that had a 129-episode run on DIY/HGTV beginning in 2008. 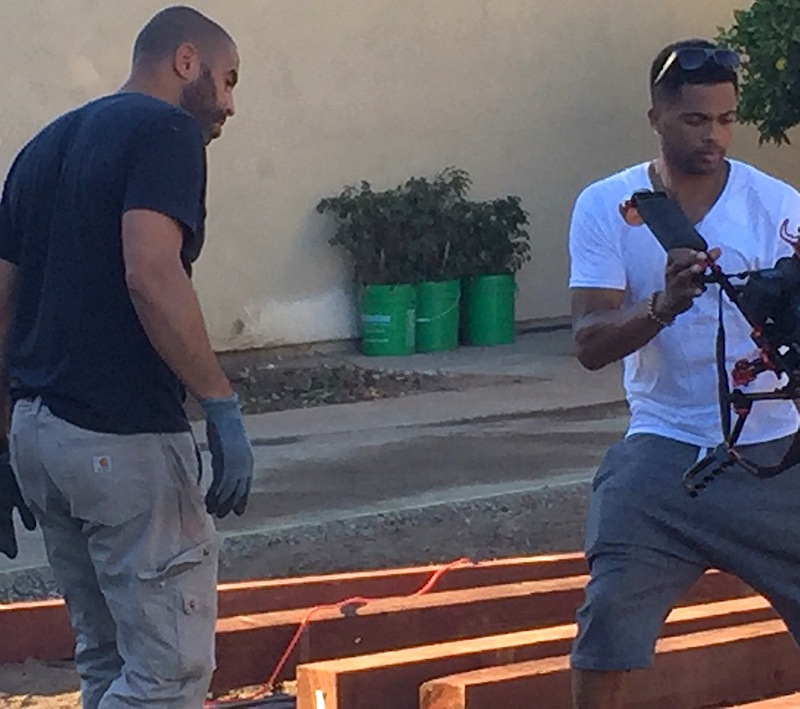 The recently retired host of reality TV’s “Yard Crashers,” Hassan became a household name in transforming rundown or dilapidated backyards into luxurious outdoor spaces. Hassan, and company’s signature moves were designed to bring creativity, potential and endless possibilities to people-friendly projects. It’s because life hasn’t always been kind to him, Hassan said, noting he was homeless at one time. That experience impressed on him the great importance of giving back to those that are now where he once was, he said. It takes a team of extraordinary dynamic people to assist daily in helping these projects come to fruition. Hassan, this year, has teamed up with several non-profit organizations to create beautiful outdoor spaces. In Florida, he partnered with Daniella’s Wish to develop a safe outdoor play area for a little girl diagnosed with cancer. In New Jersey, the team built an organic, edible garden area at a public school which serves low-income students. “Yard Crashers” Ahmed Hassan with cameraman at the secene. 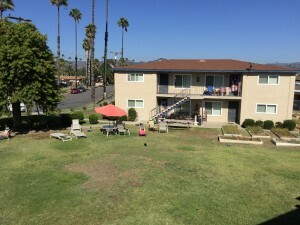 The third Sustainable Heroes project at Aster Street was at this property a few blocks east of E. Washington Avenue operated by Interfaith Community Services–Escondido. Interfaith provides housing support for over 400 individuals annually, including homeless parents and children, as well as seniors, adults with disabilities and veterans. The group serves more than 16,000 community members, in all, providing basic needs and nutrition support, social services, shelters and housing, employment development, youth programs, seniors services, veterans programs and addiction recovery support. “The Aster Gardens Charitable Project will only add to the wonderful work this organization is already doing for Escondido’s most vulnerable community members,” Hassan said. For more about Interfaith Community Services “Helping People Help Themselves” visit http://www.interfaithservices.org. 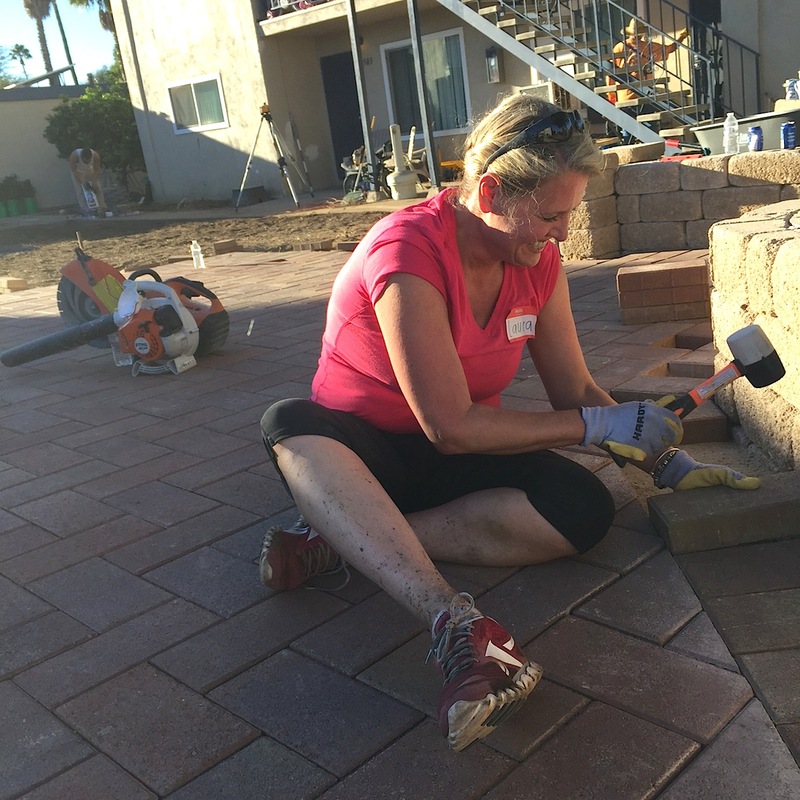 A Southwest Airlines stewardess from Houston flew in to help with the hardscaping.